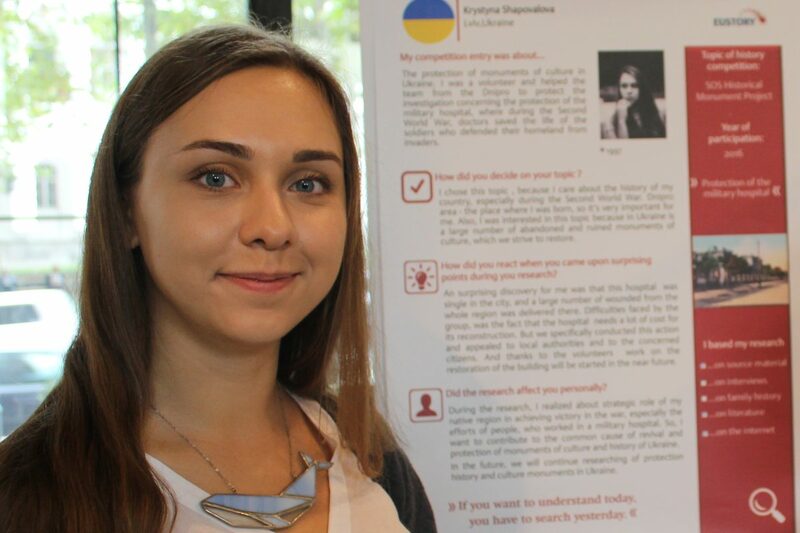 As a volunteer Krystyna helped in the preservation of historical monuments in the Ukraine. The city of Dnipro, where she was born, once was a hub for the Soviet military industry. Nowadays, heritage buildings like the military hospital which Krystyna is helping to preserve, are crumbling away. 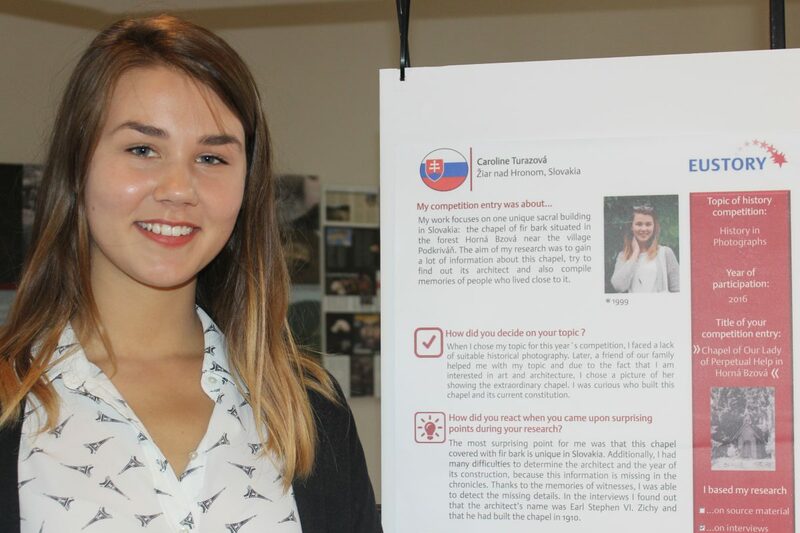 Take a look at what Krystyna said in her competition entry. 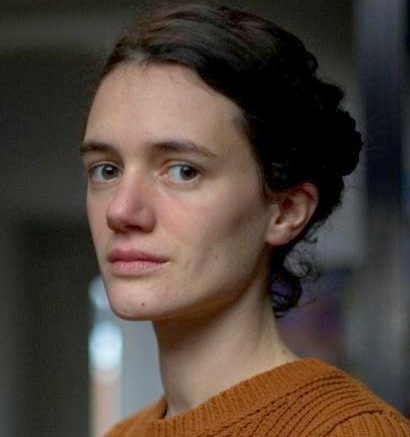 Blandine Smilansky works as an educator at the House of European History in Brussels which was opened in May 2017 by the European Parliament. At the EUSTORY Next Generation Summit 2017, she conducted the workshop »Europe on Display« together with her colleague Laure Goemans. 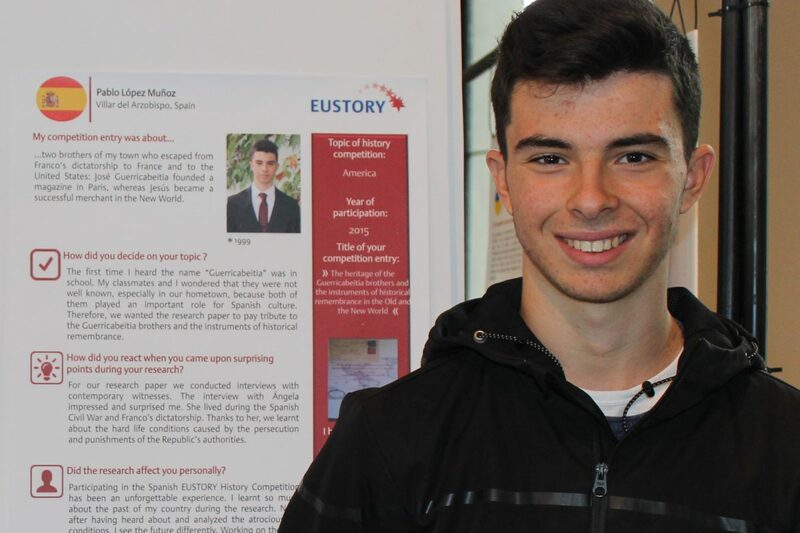 They supported EUSTORY prize-winners from different countries to reflect and critically comment on selected narrations presented in the museum. 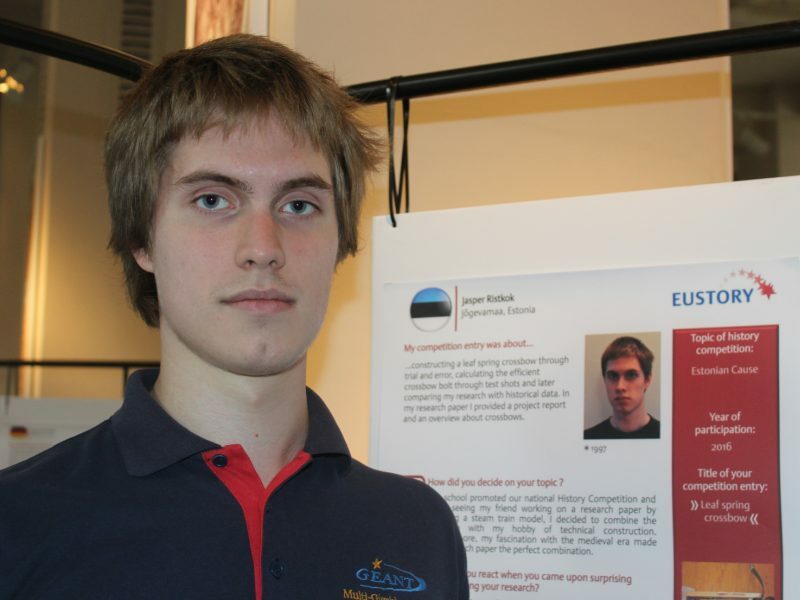 Jasper is an Estonian university student of physics, chemistry and material science with a strong interest in Medieval Era. His project approach was a rather unusual one: construct a crossbow first and look for information about it afterwards. Take a look at what Jasper said about his competition entry and find out if he was successful. More than one hundred young prize winners from more than twenty countries will gather in Berlin from 6 to 10 October for an exchange at the EUSTORY Next Generation Summit 2017. The new topic of the Swiss History Competition 2017-2019 is "Historical Investigation / Youth on the Move". Young people between the age of 14 and 21 are invited to hand in papers in German, French or Italian. Branca was interested in the cultural legacy that Brazilian migrants brought to her hometown, Lisbon. 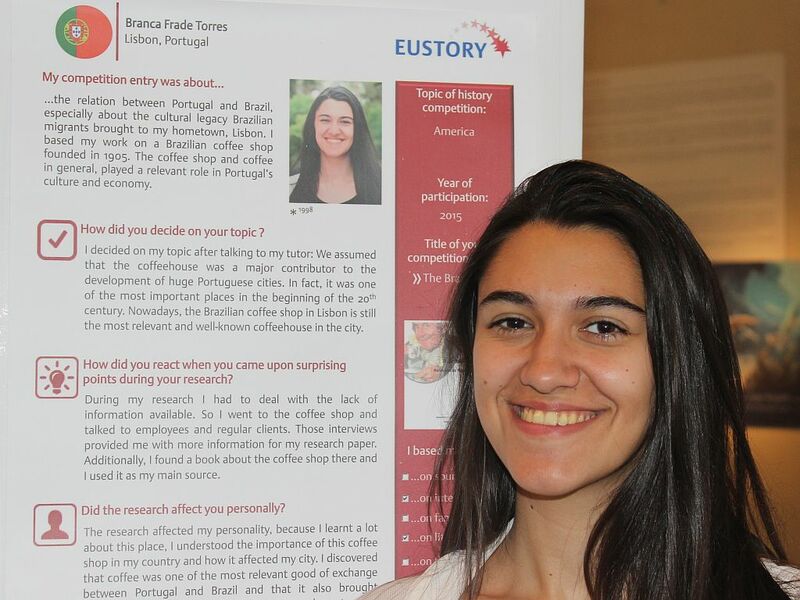 She found out that coffee not only brought Brazilian people but also their culture to Lisbon. The Café "A Brasileira" (founded in 1905) played a relevant role in Lisbon then and is still a Lisbon attraction today. 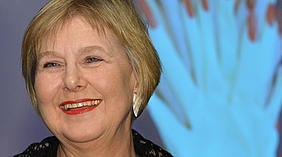 Take a look at what Branca said about her competition entry. A photo of an extraordinary building caught Caroline's attention: a chapel covered with fir bark situated in a forest. Who was the architect and when was it built? No information could be found in the region's chronicles. Only when Caroline contacted people who lived close to the chapel did she find the missing information. Take a look at what Caroline said about her competition entry. 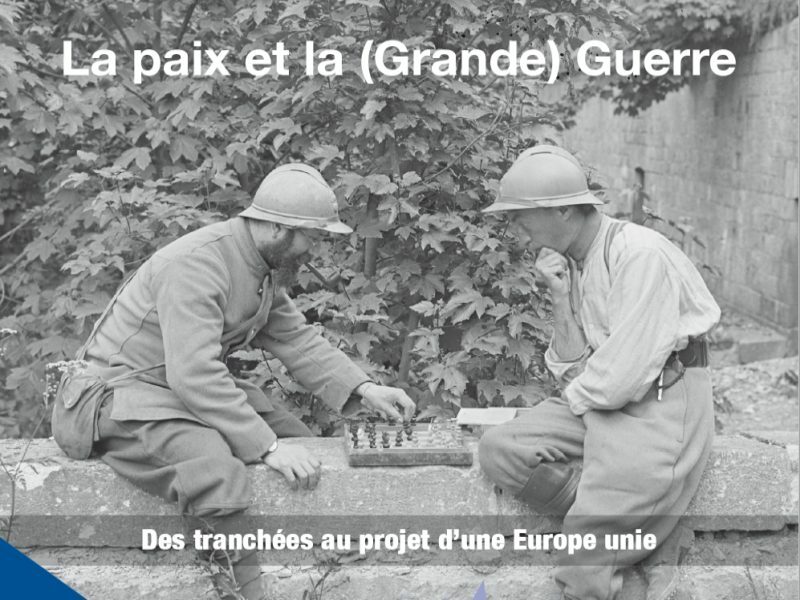 French Competition about "World War I: From War to Peace"
On 1 September 2017, the French EUSTORY Competition launches the topic: "War and peace in the context of the First World War. From the trenches to the idea of a united Europe". Read more … French Competition about "World War I: From War to Peace"
Why were the two Guerricabeitia brothers not better known in their home town? wondered Pablo. They escaped Franco's dictatorship and fled to France and the U.S. respectively, where they continued to play an important role for Spanish culture. Take a look at what Pablo said about his competition entry.